Must see this home will not be on the market long! 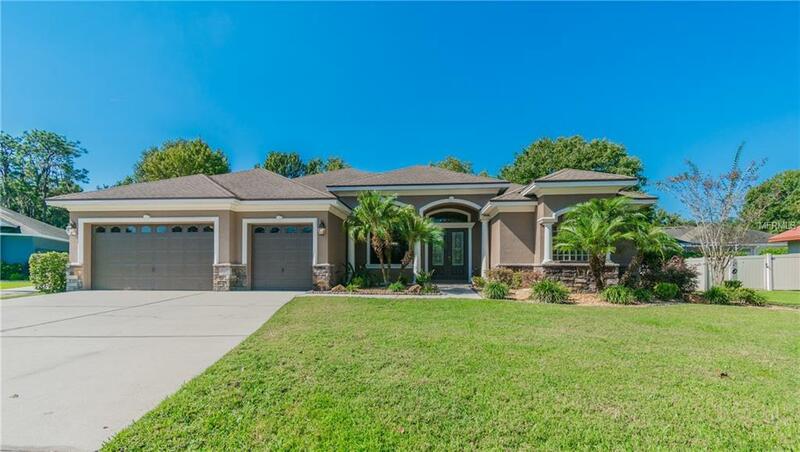 Beautiful 4-bedroom, 3-bath home located in the established community of Deer Brooke in South Lakeland. This is an extremely desirable location to the South Lakeland shopping, the Polk Parkway, and easy access to Tampa. Upon entering the home, you are immediately welcomed into an elegant foyer to greet your guests. The flowing and open floor plan invites family gatherings and parties. This will be an excellent spot for your holiday parties this winter! This home boasts a TON of amenities: high ceilings, split floorplan, granite countertops in the eat-in kitchen, stainless steel appliances, a walk-in pantry. Come see this home before it is gone, it is waiting for you and your family! Listing provided courtesy of Sun & Sand Real Estate Llc.